There are steamboats — and then there are fish-head steamboats. If you don’t already know, a steamboat is an Asian hotpot of a simmering stock in which one cooks meat and vegetables. While the steamboat scene in Singapore is a hodgepodge of Thai, Sichuan, Japanese and Korean buffet varieties in restaurants, the classic Singapore hawker steamboat for a family dinner out is a fish-head steamboat. If you want to get off the beaten tourist cuisine trail in Singapore, try one! 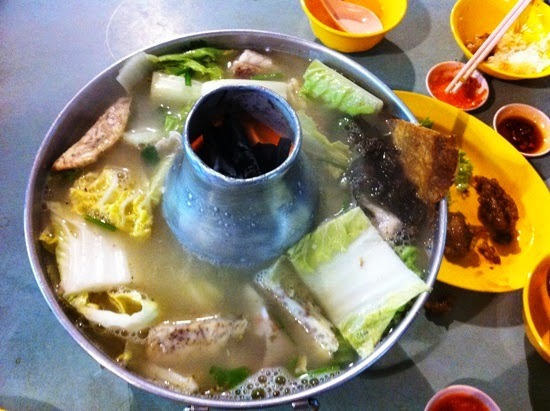 An authentic fish-head steamboat usually comes in a hardy stainless steel, specially designed vessel, dented and scratched with marks from years of use — at a hawker stall you won’t find the fancy tables of steamboat restaurants, with a built-in cooker split into two or more for a variety of broths. The real deal is filled with charcoal and comes with a hole in the centre, which functions like a chimney spout for the fumes to escape. While a regular electric steamboat used in restaurants or homes can do the job, it imparts none of the smoky, fragrant flavour akin to wok breath — only real fires create sufficient heat and smokiness. A fish-head steamboat is primarily made up of — no prizes for guessing — a fish head plus bits of meat, skin and tendons (all the hard-to-distinguish parts, which are sweeter, more flavourful and more colourful than white flesh to a connoisseur). Fish-head steamboat stalls typically offer a few types of fish to choose from, such as promfret, garoupa, mackerel and snapper, which are all firm and remain in large chunks when cooked. A few other ingredients like Napa cabbage and yams will also be served, to create a thick consistency of broth. It’s the broth though that steals the show. It’s simmered for hours with pre-fried fish bones and sometimes pork and chicken, plus ginger to remove ‘fishiness’ and sour plum to make it a bit tangy; finally, morsels of dried flatfish are baked and added as a garnish. A variety of vinegar-based chilli dips are provided to go with the fish pieces. Char Chin Fah, 80, has been charged today (Aug 22) with the murder of his daughter-in-law, Madam Ong Guat Leng, The Straits Times reported. The 54-year-old victim was killed on Thursday morning (Aug 21) after a heated argument at her flat at Block 440, Tampines Street 43. Char turned himself in to the police. One of the oldest homicide suspects in the Republic, who allegedly murdered his daughter-in-law last week, will be remanded for psychiatric assessment. Char Chin Fah, 80, is alleged to have caused the death of 54-year-old Ong Guat Leng on the morning of Aug 21, between 9am and 10.04am, at the Tampines Street 43 flat they shared. Ong was discovered lying in a pool of blood by one of her two daughters. Char was arrested when he turned himself in at Bedok North Neighbourhood Police Centre, shortly after the police received a call about the case. One man kept kicking and punching the helpless granny, while the other filmed the attack on his phone. The bizarre beating began after the men barged into the woman's Admiralty Road third-floor flat at about 2pm yesterday. 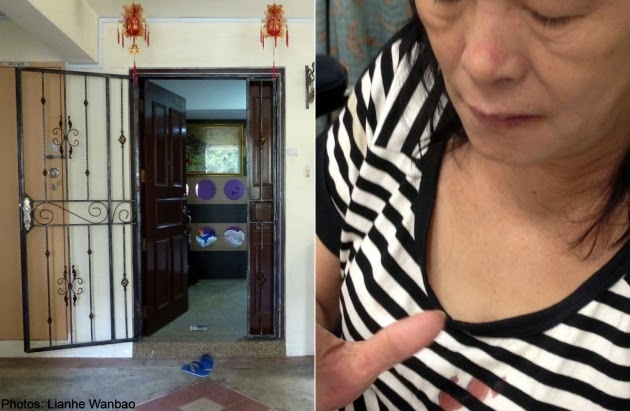 The 62-year-old woman's daughter, Ms Michelle, who declined to give her full name, told Lianhe Wanbao: "My 12-year-old daughter and nine-year-old son had just come home from school and before they could lock the door, the two men barged in. A woman in her 70s was detained and summoned to court for owing $411 in conservancy fees, Shin Min Daily News reported yesterday. Madam Lee, who lives in Lengkok Bahru, told Shin Min that she received the summons two weeks ago. She could not read English and had to ask a friend to translate it. She is accused of owing the Tanjong Pagar Town Council $411 in conservancy fees, and can be fined $1,000 if found guilty. According to the town council, Madam Lee has been late many times, and usually only paid when issued a court letter. She owed the Tanjong Pagar Town Council $411 in conservancy fees – and was issued a summons to appear in court. According to My Paper, Mdm Lee – who is 75-years old – received the summons two weeks ago. However, Mdm Lee said that she seldom opens her letterbox, and had had to ask a friend to read the letter to her as she can’t read English. The newspaper said Mdm Lee, who lives in Lengkok Bahru, surrendered herself to the police this month and was detained for two days after she declined to post bail which was offered to her. The 76 year old spinster must have been frugal enough to set aside a portion of her teacher salary to pay for her terrace house, assuming she owns the property. Decades ago, such units could have been selling at a fraction of present day prices. A friend sold off her father's spacious house at the old teacher's estate after he passed on, and could only afford a tiny condominium unit with the proceeds. She's not the only one who is asset rich, cash poor. Plaintively, the senior citizen had begged, "“What I want is my money back and I want to arrange for my funeral and I want to arrange for my rice and I want to arrange for a nice settlement." She articulated what we now see as a truism, the three letters for our retirement money spell Coffin Provision Fund. “That’s all I want. Give me back my money. CPF, give me back my money. And make it as soon as possible. Because 76, I won’t be able to live (too long),” she added. If we are in her shoes, we too would like to spend the final hours on our own bed, rather than the tented facilities of our overcrowded public hospitals. The cleaning companies of Singapore working at Changi Airport use Singaporean old lady for heavy duty work. She is 85 years old and I really felt sorry for her on my departure at the airport. I asked her why she is struggling with the heavy thrash in the departure hall and she said this is her part-time work for the airport. I found out it is the Cleaning Solutions Singapore company and ISS cleaning company using her services. A 77-year-old male retiree was fined S$7,000 and banned from driving for five years this morning (Aug 26) at the State Courts for causing the death of a pedestrian through his negligence. 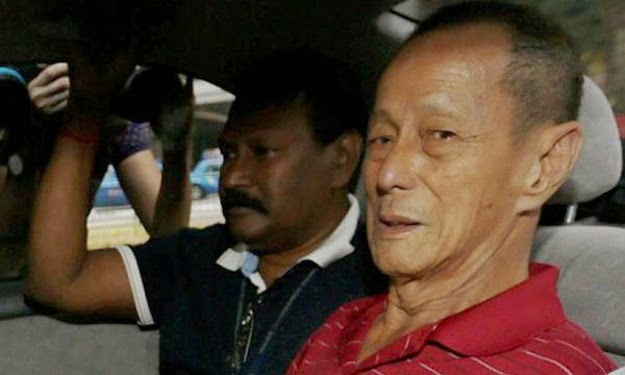 Willie Chan York Jen, pleaded guilty to causing the death of 75-year-old Mr Mohamed Ibrahim Yusoff while driving along Lorong 2 Toa Payoh at the cross junction of Lorong 6 Toa Payoh on Dec 21 last year. At about 5.45pm that day, Chan had been driving along Lorong 2 Toa Payoh and heading towards the Pan Island Expressway (PIE) on his way home after playing badminton with friends at Toa Payoh West Community Centre, located at Lorong 2 Toa Payoh. A 60-year-old kindergarten principal has been charged with multiple counts of criminal breach of trust. Lee Ooi Chun was said to have committed the offences between 2009 and last year.The six charges that she faced involved amounts of more than $37,000. 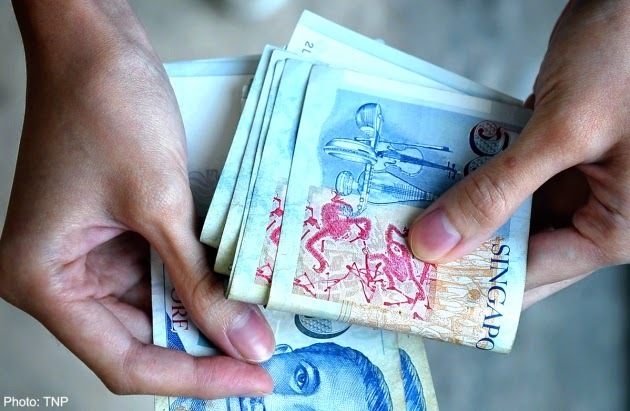 Lee, the principal of a PAP Community Foundation (PCF) kindergarten centre in Ang Mo Kio, had allegedly used the cash collected in the school. 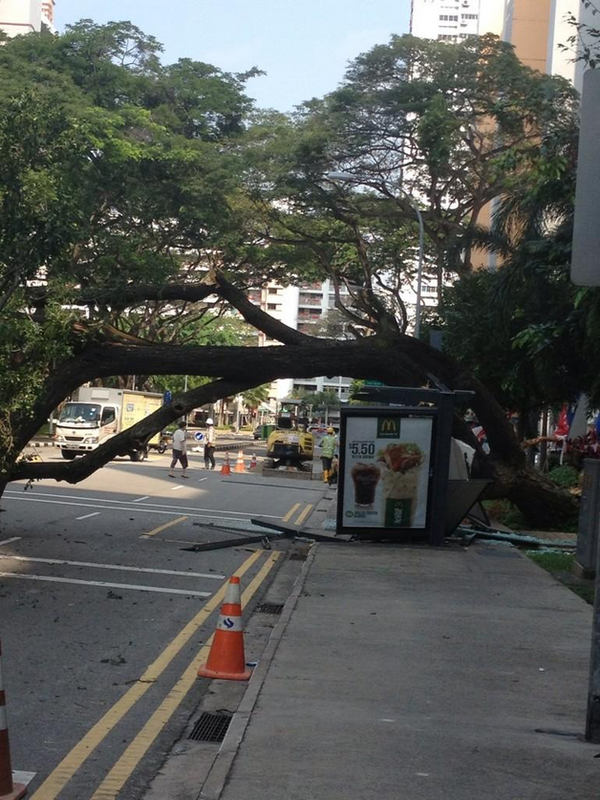 A large tree fell on top of a taxi stand in Marine Parade on Thursday (Aug 21) morning, injuring a 70-year-old woman. The Singapore Civil Defence Force (SCDF) says it was alerted at 10:28am. 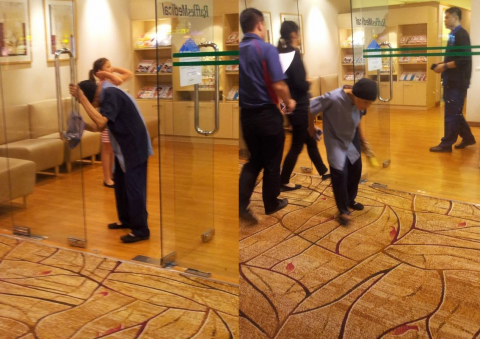 The incident took place at Block 54 Marine Terrace, and the elderly Chinese woman suffered cuts on her forehead. She was sent via ambulance to Changi General Hospital. Sun Ho has acknowledged for the first time in public that she herself was having trouble reconciling the image of a pastor’s wife with her pop music persona as the “Chinese Geisha”. “People in the church world were upset with me, asking how could a pastor’s wife do this, and people in the entertainment world were suspicious of me,” said Ho in a wide-ranging interview with City News, the online news arm of City Harvest Church (CHC) on Saturday. Referring to the Crossover Project — the church’s mission to evangelise using secular pop music — the 42-year-old wife of City Harvest founder Kong Hee said, "There were moments during the Crossover, when I felt alone and I seldom talk about this, of course I had my US team, but it was just a hard mission". “There were days when I didn’t serve the vision with the best attitude. It was hard to be on the road, to be apart from the family I’m so close to…” she admitted, realizing that “the values in the world and those in the church are poles apart”. City Harvest Church finance manager Sharon Tan broke down on the stand on Friday, even as she conceded that information she had inserted into church board meeting minutes may have deceived auditors. "Your honour, it might be seen like they are being deceived, but... it wasn't my intention." Xtron Productions is like City Harvest Church's (CHC) own GIC, its founder Kong Hee had told church members in a speech. GIC is a Government-run sovereign wealth fund. Just like the GIC, Xtron was meant to protect the interest of CHC, he had said in August 2008. His words were the topic of yesterday's hearing, with CHC finance manager Sharon Tan taking the stand to answer questions from her lawyer, Senior Counsel Kannan Ramesh. Xtron had spent close to S$5 million meant for the rental of a Singapore Expo hall on Ms Ho Yeow Sun's singing enterprise. Now Xtron, which managed Ms Ho's music career from 2003 to 2008, needed money to cover the rental fees. The firm had money elsewhere. City Harvest Church (CHC) had bought S$13 million of its bonds. But the bond proceeds were off-limits and could not be used to pay the rent. So Wee, who provided accounting services to Xtron, thought of a plan: Use the bond money to pay the rent and disguise its use under a "travelling and salaries" section. It suffered losses of $9.5 million in the four years after its incorporation in 2003, based on a document shown by the prosecution yesterday. Kong, who is on the stand, had maintained that investing into a $13 million Xtron bond in 2007 would bring "good returns". When rumours began swirling online after City Harvest Church had bought a multimillion-dollar stake in Suntec Singapore Convention and Exhibition Centre, accountant Serina Wee’s brother voiced his concerns to her after he had read a blog post in March 2010. In an email to co-accused Tan Ye Peng and Chew Eng Han about her brother Roland’s concerns, Wee — who is among six church leaders on trial for misusing church funds — said her brother was raising questions he felt any financially-trained person would have asked. Mr Wee had asked about church-linked entity Xtron Productions, which had previously helped acquire property for the church. He said anyone looking at Xtron’s accounts would have asked where its S$6 million (RM15 million) share capital had come from. 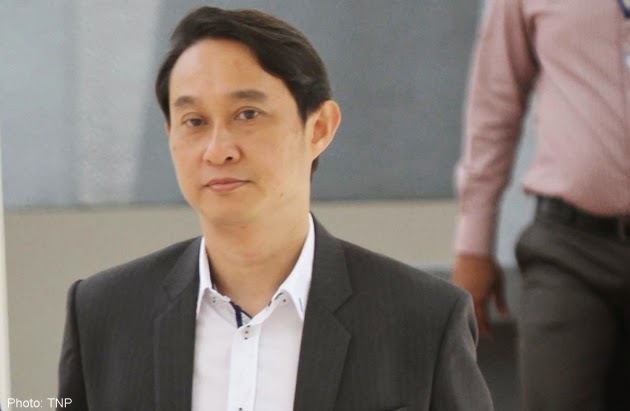 In the ongoing City Harvest Church trial, the prosecution charged that founder Kong Hee and his deputies controlled when to draw down Xtron bonds, and how these funds would be used. It said the bonds were simply a sham mechanism to tap on the church's building fund to obtain money whenever needed to finance the church's Crossover Project. Kong and his five deputies are in the dock for allegedly using millions of the church's money to buy sham bonds. The project, fronted by Kong's wife Sun Ho, is a way of evangelising through secular pop music. The court heard that even before the church entered into the bond transactions with Xtron - Ms Ho's artiste management firm - Kong had made decisions concerning the financing of her music career - before getting the approval of Xtron directors. When $300,000 was needed for, among other things, a party in the upmarket Hamptons area in New York to promote his wife's music career, City Harvest founder Kong Hee gave the go ahead. But when it came to keeping tabs on how to repay the church loan that helped pay for it, Kong admitted in court yesterday that he lacked full knowledge. He did not, for instance, realise Xtron Productions, which managed his wife Ho Yeow Sun's pop career, had just two years to repay the $13 million it borrowed from the church. Yesterday, former City Harvest Church (CHC) investment manager Chew Eng Han continued to assert that the megachurch's founder, Kong Hee, had deceived those close to him. He accused Kong of falsifying information - such as the church's attendance figures - and for choosing not to recoup the money sunk into singer Sun Ho's American album. 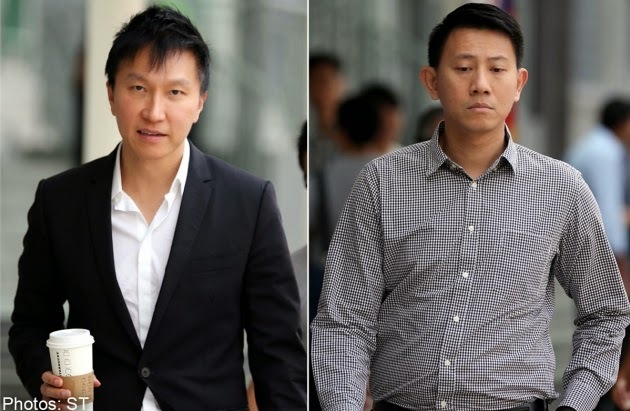 Chew, Kong and four others are accused of misusing more than $50 million of church money to finance pop singer Ho Yeow Sun's music career and covering up their tracks. 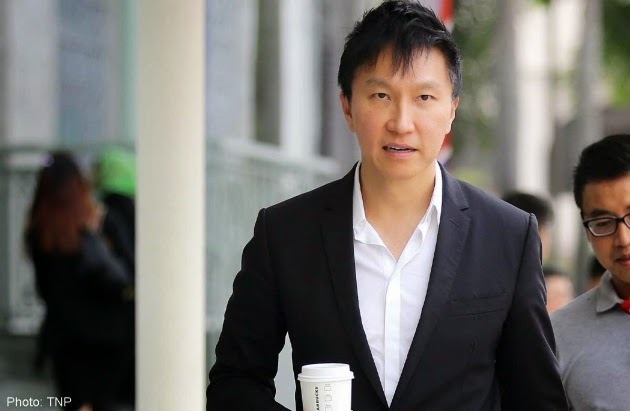 His control over church-linked entities ranged from salary issues to multi-million-dollar property transactions, prosecutors cross-examining City Harvest Church founder Kong Hee argued yesterday. 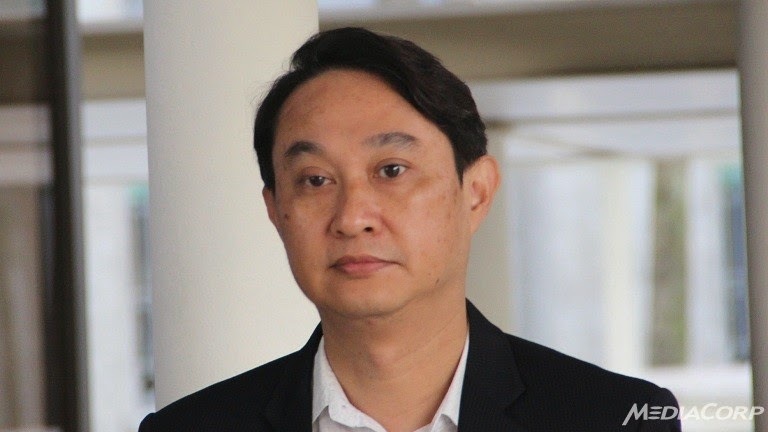 Building its case of criminal breach of trust against Kong, the prosecution produced a string of documents showing that he apparently had the final say in the key decisions of entities that he has insisted were separate from the church. One of these entities was Xtron Productions, which managed the pop music career of Kong’s wife Ho Yeow Sun and was the vehicle the church used to acquire property. 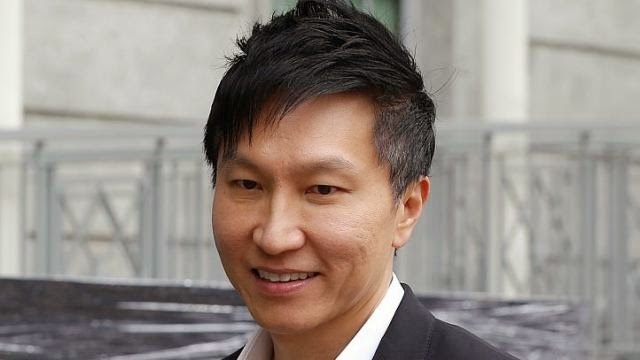 In the high-profile City Harvest Church trial, the prosecution sought to prove that church founder Kong Hee gave the nod for the church to invest S$13 million in Xtron bonds, despite knowing that there was no reasonable prospect of financial returns from the investment. The prosecution is aiming to show that the bonds were a sham, and simply a vehicle for Kong and his deputies to funnel church monies into funding the secular music career of his wife Sun Ho. Between 2003 and 2007, Ho's Asian albums and US singles led to an almost S$10 million-dollar combined net loss for Xtron Productions, her artiste management firm. The prosecution said that to inject capital into Xtron, sponsors were approached, or the church would simply buy up her CDs as "evangelical tools". Chew Eng Han, who oversaw its investments, mounted a feisty examination of former board member John Lam, who took the stand for a third day. Both men are among six accused on trial. Chew, 54, was asking the questions himself as he had discharged his lawyer in May, citing a "deep personal conviction" of the need to defend himself. He was a church leader not to be crossed. Even his own right-hand man found that out the hard way, according to e-mails presented to the court yesterday. In the e-mails, City Harvest Church (CHC) founder Kong Hee blasted deputy senior pastor Tan Ye Peng for simply going along with the "naive" and "ignorant" consultants who made singer Sun Ho's concerts in China "result-less". He scolded Tan in the e-mail: "You are not critical enough in your thinking. You are too optimistic and hopeful of people when you shouldn't be. related: Kong hee to step down? "The Beijing and Shanghai events cost us so much money... but at the end, who came? It was a joke! "Time wasted. Efforts wasted. Objectives not met. Money thrown away unnecessarily. I don't get it. How have we become good stewards of money? We tried to save a few thousands on hotels and (threw) hundreds and thousands on result-less concerts. "How I wish I can run the whole show the way I run our church (in) the last 18 years! But I can't... (My wife and I) are putting our lives and destiny at the hands of our disciples, our spiritual children. We hope you guys don't let us down." 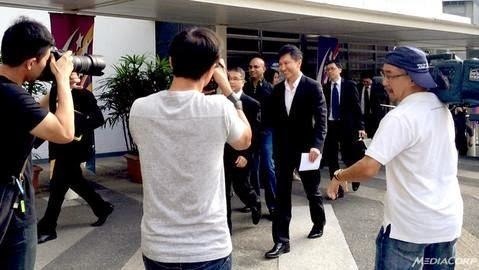 The profitability of her artiste management company Xtron was also questioned, as the trial involving the church's leader Kong Hee and his five deputies resumed on Monday (Aug 4). The six church leaders are accused of misusing millions of church funds to buy sham bonds to bankroll Sun Ho's music career. She had been touted as a big commercial success, but lead prosecutor Mavis Chionh said the financial statements told a different story. In 2004, City Harvest Church spent about half a million dollars to buy her unsold (Mandarin) CDs - numbering at least 32,000 copies - to give away to overseas ministries and overseas churches. 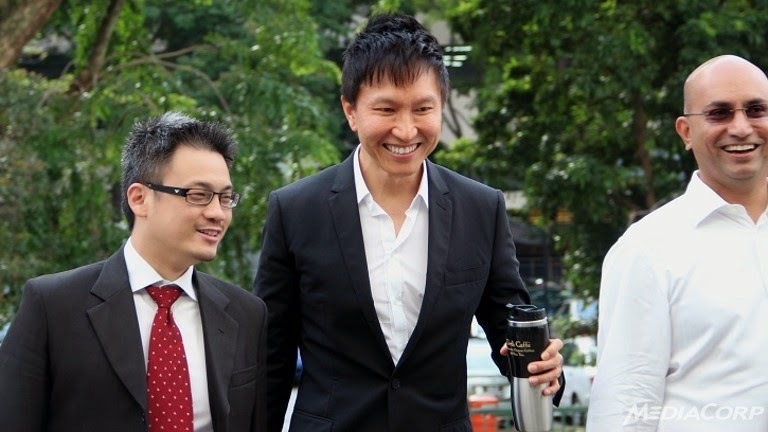 City Harvest Church founder Kong Hee did not love the church and its members, and was not that concerned about it suffering losses, charged its former investment manager Chew Eng Han. Chew made these accusations against Kong in a bid to show he'd been deceived by his "spiritual mentor". 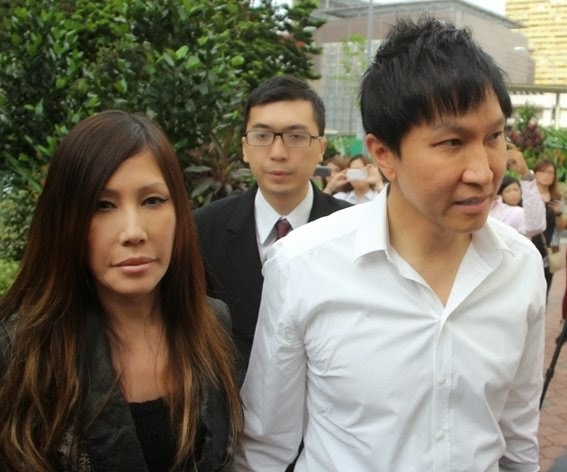 The pair are among six leaders in the dock for allegedly misusing church funds to bankroll the secular pop music career of Kong's wife, Sun Ho. Wrapping up his cross-examination on Tuesday (Aug 19), Chew said that if Kong truly cared about the church getting back every dollar, he would have tried to salvage the songs that Ms Ho had already recorded for her US debut album. Kong could also have tried to sell the songs’ copyrights, or have Ms Ho return to the US to finish and launch the album, Chew said. 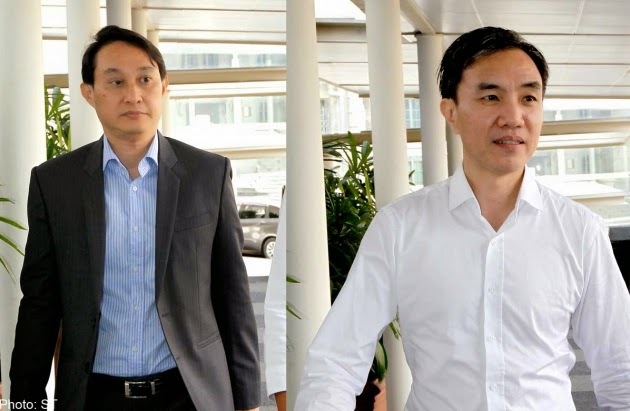 Former City Harvest Church board member John Lam was trying to use his co-accused and former church investment manager Chew Eng Han as a "scapegoat", alleged the prosecution, as the high-profile trial involving the six church leaders resumed on Thursday (Aug 7). This was in relation to a "secret letter" that Lam had signed on behalf of the church board - even though the board had not been told of the letter, and had not given him the mandate to sign it. The six defendants are accused of using millions of church dollars to buy sham bonds from two companies, Xtron and Firna, in order to fund the secular music career of Sun Ho, the wife of church founder Kong Hee. The pharmacy technician walked away the winner after beating out 11 other finalists. Rathi also bagged two subsidiary awards - Miss Brilliance and Miss Personality. The first runner-up was 20-year-old model and entrepreneur Arrian North, while law student Ijechi Nwaozuzu, also 20, was the second runner-up. Come August 22, these 12 beauties, consisting of an exotic mix of races - from Arabian-English; British raised Indian-Chinese and Nigerian-Malay - will vie for the top spot of becoming the next Miss Universe Singapore. Incorporating elements of a modelling competition such as a fashion runway, viewers can expect a different pageant than before. Organiser Derrol Stepenny Promotions said that apart from a beauty queen with both beauty and brains, they are also looking for someone who can conquer the runways. 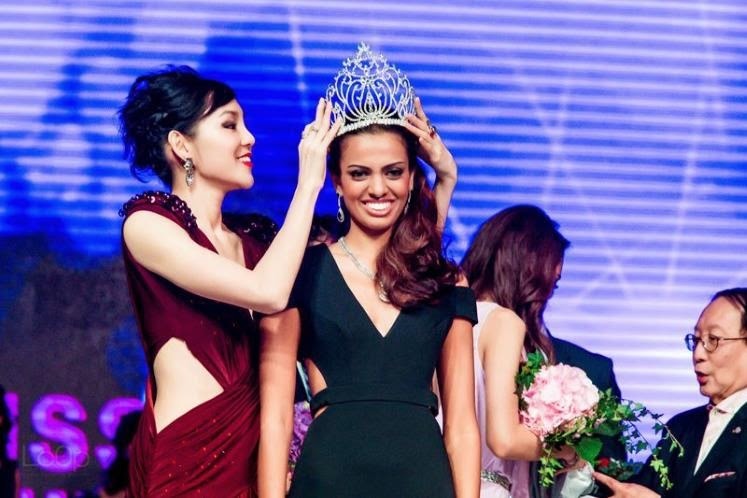 The winner, who will be crowned by reigning Miss Universe Singapore Shi Lim, will go on to represent the country at the Miss Universe Final. 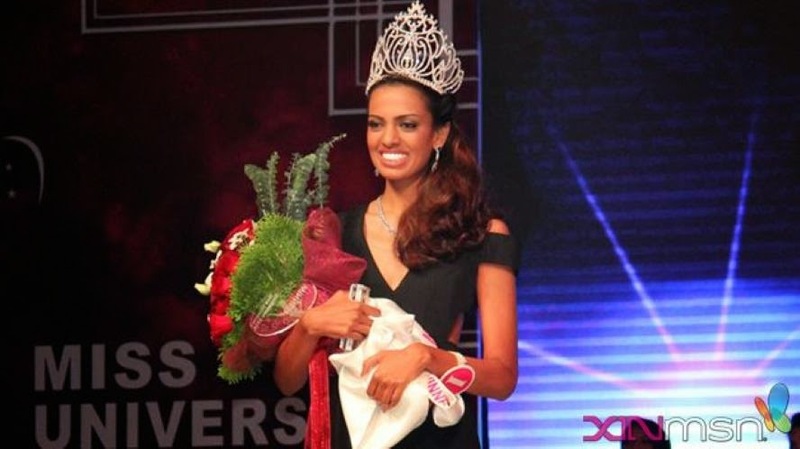 The date and venue of the pageant have yet to be confirmed. I don't think this has ever happened before. The PR person must be sleeping. There was some newspaper coverage in the run-up to the event, but the closest thing to mainstream media that actually reported the winner is the xinmsn website, which is partly under MediaCorp. Yahoo doesn't count, despite it being asked to register by MDA.